Live music takes the back seat this week. 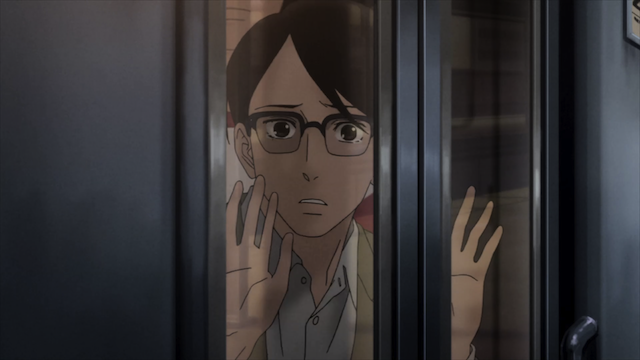 Episode 5 of Sakamichi no Apollon (Kids on the Slope) changes the established pattern. It had become a standard part of each episode to include a “session”, a live performance by some members of the Jazz Quartet, that coincided with a dramatic highpoint of the episode. In episode 5, the quartet doesn’t get to play together (despite Sentarou’s best efforts). Instead the not playing itself is much of the story. However music is still at the center of the story’s action. 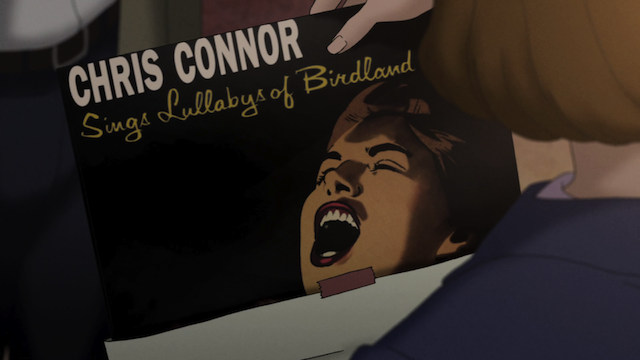 One song in particular is featured in the background music (BGM) three times, is mentioned by name by one of the characters, and is even used as the title for the episode: The Lullaby of Birdland. Please enjoy The Lullaby of Birdland, sung by Aoi Teshima, while reading the rest of this post. The first time we hear Lullaby of Birdland is when we are shown the new distance in the relationship between Kaoru and Ritsuko. The second time we hear Lullaby of Birdland is as Kaoru eats the meal Ri’ko prepared for him. The first two uses of the song as BGM feature the piano intro, and are thematically linked to Kaoru’s feelings after Ri’ko turned him away. 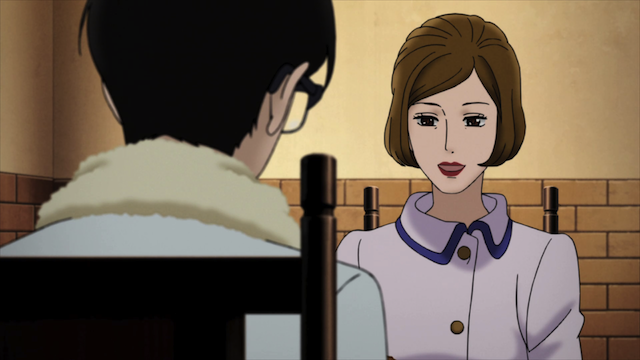 Kaoru (after some prodding by Sentarou) travels to Tokyo, where meets his mother for the first time in many years. At first Kaoru isn’t sure how to react to his mother. He almost abandons the idea after having travelled all the way to Tokyo. He does manage to connect with her, though, and creates a promise between them, by giving her a Jazz album bought on the spot. He asks her to learn to sing Lullaby of Birdland by listening to the recording, so they can make music together on his next visit. 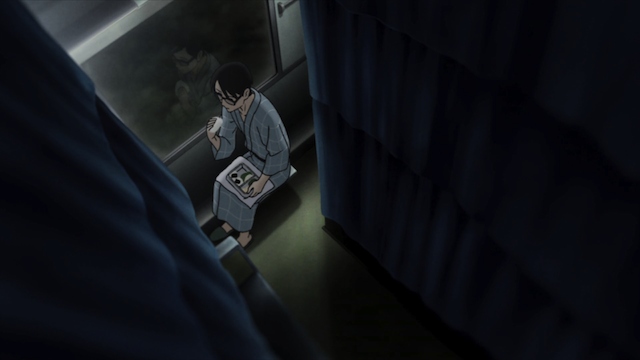 The final time Lullaby of Birdland is played is as Kaoru watches from the train window while his mother cries. Only when Lullaby of Birdland is played for a third time are the lyrics heard. 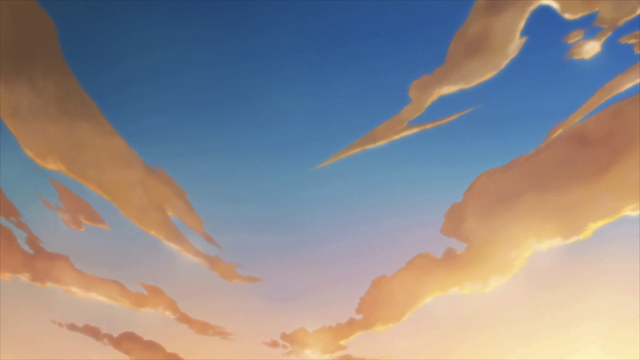 Kaoru, having closed the distance with his mother, and having had a good laugh at his own heartbroken state, returns with Sentarou directly to the rehearsal space. 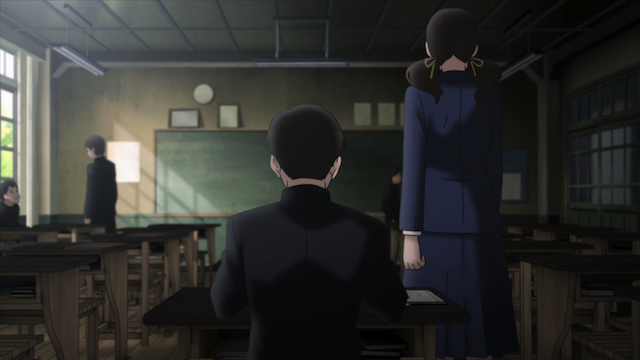 Do you think Kaoru will meet with his mother again? I’d love to see them perform together though. I think he will in that world, but I don’t know if we will get to see it in the story or not. I’m totally convinced that Kaoru will go back to visit her, and that she cares enough about her son to learn the song, so that they can make new memories together. It *would* be great to see them perform together in the anime. I agree. I guess all we can do is wait and find out.